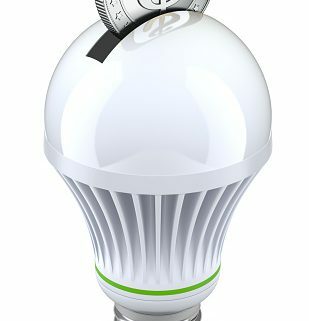 The Colorado Rural Electric Association will host its 9th annual Energy Innovations Summit in downtown Denver at the end of October. The conference is open to anyone who is interested in innovative energy subjects. Sponsored in part by Tri-State Generation and Transmission, it features industry leaders, speakers and panelists, as well as vendors and exhibitors. 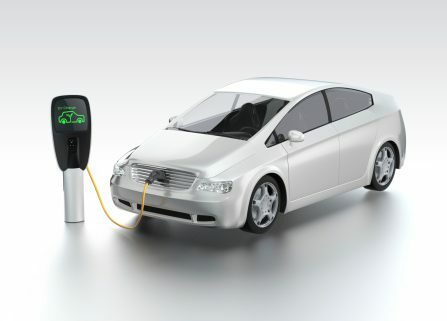 This year’s topics include: energy efficiency and demand response; forecasting renewable energy; examining energy storage technology; blockchains and the power industry; EV fast charging technology; and community choice aggregation. Fires have been burning all over Colorado this summer and, while most fires seem to be contained as of press time, several Colorado towns in electric co-op territory are still feeling the burn — environmentally and economically. Three co-op communities have particularly felt the impact of this year’s wildfires. 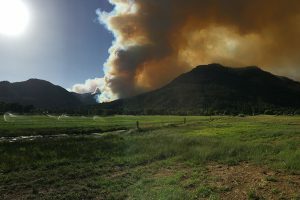 In San Isabel Electric Association’s territory in southern Colorado, the Spring Creek Fire, more frequently referred to as the Spring Fire, began on June 27, 5 miles northeast of Fort Garland, according to the U.S. Forest Service Incident Information System on InciWeb. As of July 13, the Spring Fire was 91 percent contained. At 108,045 acres burned, this fire is said to be the third largest fire in Colorado history and its area was declared a disaster zone by Gov. John Hickenlooper. SIEA worked closely with the Rocky Mountain Blue and Rocky Mountain Black incident management teams, as well as the staff at the emergency operation center in Huerfano County. 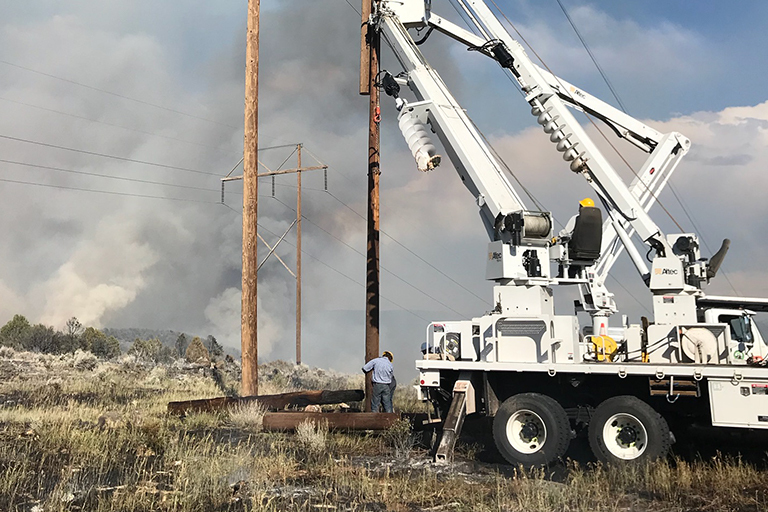 During the fire, the Blue and Black teams instructed SIEA crews where and when to de-energize lines and electrical equipment for the safety of firefighters and public at large. 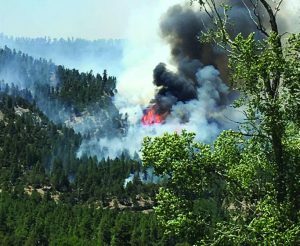 The 416 Fire began on June 1, 13 miles north of Durango. At press time it was 50 percent contained and 54,129 acres were burned, according to InciWeb. 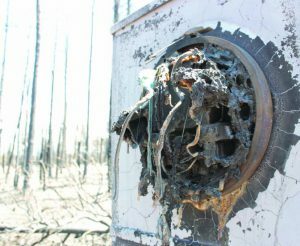 The day-to-day operations of electric co-op crews quickly adjusted to help keep their community safe. 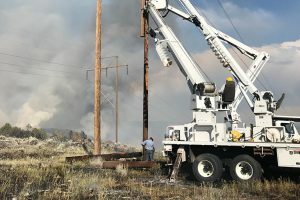 “We are constantly shifting guys around to be on call 24/7 to assist the fire team,” said Justin Talbot, operations manager at La Plata Electric Association, based in Durango. A view of the 416 Fire from Cottonwood Pond. Photo by Jennifer Wheeling. The Lake Christine Fire began on July 3 at approximately 6:15 p.m., just 1 mile northwest of Basalt. At press time it was 55 percent contained with 6,693 acres burned. Holy Cross crews making repairs during Lake Christine Fire. As firefighters contained the blazes, thousands of Coloradans were without power or evacuated from their homes altogether. “The (Lake Christine) Fire, which destroyed three homes, resulted in the evacuation of 1,793 residents from 664 homes by the Eagle County Sheriff’s Office, with some residents being kept from their homes for almost a week, Weatherred explained. The U.S. Forest Service has not yet reported the exact number of evacuees and damaged structures from the Spring Fire, but news outlets recently reported more than 140 homes destroyed in the fire. The residual from these wildfires is not only ash and debris, but also job loss and tourism decline. Smoke fills the air as a wildfire spreads through hard-to-reach places. Photo by LPEA member Jennifer Wheeling. “The smoke has been horrid and our tourism economy has suffered, so everybody is doing what we can to tell folks that Durango is open for business,” added Indiana Reed, LPEA public information officer. Fire restrictions led to tourism cancellations as well as local shopping decline, so Durango businesses are doing what they can to summon people back to the area with special events like Fab Fridays, concerts, demonstrations and tours. LPEA customer service representatives decorated a new “Power of Giving Tree” at the Durango office, encouraging the community “to give a little to help a lot, and assist their friends and neighbors economically impacted by the 416 Fire,” according to an LPEA press release. This is all that is left at this home site devastated by the Spring Fire. In light of the damage and economic downturn in Colorado’s burn areas, folks are mindful of the dangerous work that was — and still is — being performed by emergency crews. Locals go out of their way to show their gratitude to firefighters and the many others who put their lives on the line to keep them safe. Amy Higgins is a freelance writer who lived in Denver and knows these areas devastated by the fires.